Season premiere ratings of American Idol fell 19 percent from last year, according to Zap2It.com. Nevertheless, it was last night’s (1/16) top show and won every hour among the major networks. Idol fell 19 percent in the 18 and 49 demographic and in total audience. It attracted 17.9 million viewers, down from 21.9 last year. The new judging panel includes Keith Urban, returning judge Randy Jackson, and new-to-the-show feuding divas Mariah Carey and Nicki Minaj. 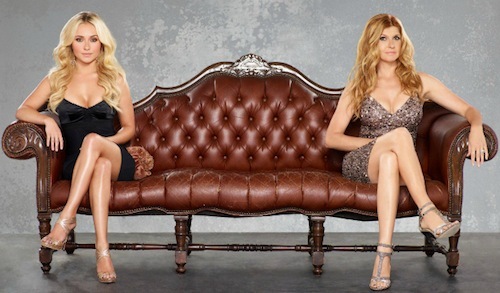 ABC’s Nashville averaged 6.5 million viewers last night. According to the L.A. Times, the show is attracting an unusual set of viewers—it is tied as the most popular new show among women 18-34. For advertising reasons, the network expected, and wants to, draw in more 18-49 year old fans. Among the theories for the younger-skewing watchers: thanks to hit acts including Taylor Swift and Carrie Underwood, younger women like country music more than older women. Or perhaps younger women are more interested in Hayden Paneittere, or the competing singers storyline. The program also has unusually high DVR numbers.